Have you ever stopped for a moment on a busy day at your job and wondered what it would be like if we didn’t have computers and all the modern technology to make our daily lives more productive? Well, on April 20th you will have this opportunity if you choose to do so. The State Educational Technology Directors Association (SETDA) asked all schools across the country to do just that. Take a moment to reflect and think about how things would change without technology in the learning environment. What is technology? Is it the computer that sits on your desk? Is it the PDA or cell phone at your side? Actually, the Webster 7th New Collegiate Edition of the dictionary defines it as, “The totality of the means employed to provide objects necessary for human sustenance and comfort.” I like to define it as this--a tool that helps us complete a task faster or easier. One of the tasks that have seen the greatest changes in technology is farming. Farming is one of the oldest uses of technology to mankind. It has allowed our population to grow numerous times over by helping us provide greater quantities of food and other innovative farming techniques. In this age of modern innovations, we need to make sure that our boys and girls are challenged by not only a demanding curriculum but we also need to challenge them with higher level thinking skills. We need to give them modern technology in order to aid students and the community in productive learning and problem solving skills for life. So, as you go forward on the 20th of April, 2005, take the time to think about and imagine what your life would be like without modern technology. If we don’t offer these tools to them in the future, how will we teach our young people the skills they will need to be productive and successful citizens in the next century? A month ago I went to the Technology Conference. At one of the seminar, "Education on the Internet". I was having one of those moments on this day, as I have every now and then. Are we doing the right things in our society and schools with Technology as it changes so rapidly. The presenter stimulated me to think with these items that are listed. Think about these Items and how they relate to thing that you have heard people say about computers and modern technology. · Teacher's Conference 1703: Students today can't prepare bark to calculate their problems. They depend on their slates, which are more expensive. What will they do when the slate is dropped and it breaks? · Principal's Association 1806: Students today depend on paper too much. They don't know how to write on slate without getting chalk dust all over themselves. What will they do when they run out of paper? · National Association of teachers 1907: Students today depend too much upon ink. They don't know how to use a penknife to sharpen a pencil. Pen and ink will never replace the pencil. · PTA Gazette 1941: Students today depend on these expensive fountain pens. They can on longer write with a straight pen and nib. · Federal Teachers 1950: Ballpoint pens will be the ruin of the education in our country. Students use these devices and then throw them away. The American values of thrift and frugality are being discarded. · 1992: Students today depend too much on the hand held calculators. By the way what ever happened to the Slide Rule that every engineers had until the middle of the 80's? After looking at these things that have been wrote in the past. There was that sudden moment of clarity for me, that we each experience now and then. Yes we are doing the right thing as a society with computers and modern technology. Other words I would be writing this article on bark. cascading style sheets (CSS) is a neat way of making pages so that users can change the way that they see your web pages. This could be very useful for people that might be seeing impared. This way they can set-up their web browser so that when they go to webpages that the basic font is larger then normal. So when building web pages in the future make sure to keep this in mind. I never thought about it but it makes sence now. Also with CSS you can qiuckly change the look of a all the pages at a website if you use a seperate CSS page that all your html or php pages look at for styles. Ok can social networks be a good thing for education? I think so and here is why. Buissness wants workers to have good communication skills, They want people that can work with a group and think out side the so called box. Well here is a chance to get students talking about a project and we can keep it in a group setting. Yes Myspace is a social network but using Ning would give you a little more control of the social site. Here is the link to my Ning site check it out. Although this is not part of are class requirements I decided to set-up a Ning Social site for are Educational Technology Professional group. It is really kind of neat as it allows you to chat with others in the group if they are online and you can see when they are online. 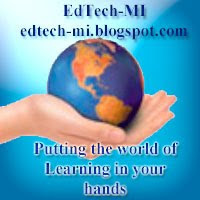 Also it offers a place for blogging and/or group discussion on a topic. This is Just another tool to get people to collaborate. In the January 2008 Volume 28 Number 6 of Technology & Learning. It list the Top 10 Technology trends in education. 1. Data mining is earning its keep. 2. Cyber-Bullying is in the spotlight. 3. Twenty-first-century skills have a foot in the door. 4. Digital content is on the rise. 5. We like learning at leisure. 6. Personal responders are sweeping teh k-20 market. 7. Mobile tools are driving the path of education reform. 8. Bandwidth is suddenly an issu. 9. The penguin is snow-balling. What is a wiki and how could I just it as a teacher? First of all wiki is Hawaiian for quick, in this use it mean quick edit. You and a group of people can quickly edit a web page and collaboratively make changes to the site. Here is a quick example of a use. A Boy Scout troop wants to plan a camping trip but they do not have a pack meeting for a month and they want to go before the warm weather of summer is gone. So Joe the pack leader creates a Wiki site a PBWIKI. He titles the page Troop 589 Camping trip and list these Items. The first column is Items he has for the outing, the second column is items need for the outing. Under the have he has tent, cooking gear, matches. Under the needed he has hatchet, three days of food. Next Fred goes to the site and places in the have column places hatchet he then goes to the needed and place snake bite kit, flash light and batteries. Eric then goes to the site and places in the have column snake bite kit, 3 days of food and batteries. He adds no new items to the needed. Jake logs-in and places in the have column flash light and no new items in the need column. So they now have all the things they need with no other communication then just the Wiki. So they now need to pick where the camping trip will take place so any one of them can start by adding a new page of title where to go camping and start a list of places and a column for suggestions. It is that easy and quick. There is also a short You tube video that will graphically show you an example of how a wiki works. Well go and give it a try I think you will find it fun and an easy way to collaborate.